To claim this profile, please confirm you are Mason Maners. To follow this profile, please let us know your relationship to Mason Maners. RESULTLoss Varsity baseball @ Spain Park. The Vestavia Hills varsity baseball team lost Thursday's away conference game against Spain Park (Hoover, AL) by a score of 2-1. RESULTWin Varsity baseball vs. Spain Park. 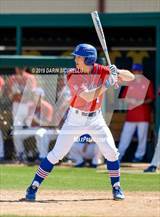 The Vestavia Hills varsity baseball team won Tuesday's home non-conference game against Spain Park (Hoover, AL) by a score of 4-3. RESULTWin Varsity baseball vs. Mountain Brook. The Vestavia Hills varsity baseball team won Thursday's home non-conference game against Mountain Brook (Birmingham, AL) by a score of 9-2. RESULTWin Varsity baseball @ Mountain Brook. 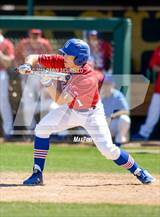 The Vestavia Hills varsity baseball team won Tuesday's away non-conference game against Mountain Brook (Birmingham, AL) by a score of 8-4. The Vestavia Hills varsity baseball team won Monday's home non-conference game against Heritage Christian Academy (Hoover, AL) by a score of 2-1. RESULTWin Varsity baseball vs. Hewitt-Trussville. The Vestavia Hills varsity baseball team won Friday's home conference game against Hewitt-Trussville (Trussville, AL) by a score of 11-0. RESULTLoss Varsity baseball @ Hewitt-Trussville. The Vestavia Hills varsity baseball team lost Tuesday's away conference game against Hewitt-Trussville (Trussville, AL) by a score of 3-0. RESULTWin Varsity baseball vs. Vincent. The Vestavia Hills varsity baseball team won Monday's home non-conference game against Vincent (AL) by a score of 7-4. The Vestavia Hills varsity baseball team won Friday's home non-conference game against Lauderdale County (Rogersville, AL) by a score of 10-0. RESULTWin Varsity baseball vs. Ariton. The Vestavia Hills varsity baseball team won Friday's neutral non-conference game against Ariton (AL) by a score of 12-2. RESULTWin Varsity baseball @ Oxford. The Vestavia Hills varsity baseball team won Thursday's away non-conference game against Oxford (AL) by a score of 16-3. RESULTWin Varsity baseball vs. Gadsden City. The Vestavia Hills varsity baseball team won Wednesday's neutral tournament game against Gadsden City (Gadsden, AL) by a score of 17-7. RESULTWin Varsity baseball vs. Westbrook Christian. The Vestavia Hills varsity baseball team won Wednesday's neutral non-conference game against Westbrook Christian (Rainbow City, AL) by a score of 11-4. RESULTLoss Varsity baseball vs. Ponderosa. The Vestavia Hills varsity baseball team lost Thursday's neutral non-conference game against Ponderosa (Parker, CO) by a score of 2-0. RESULTWin Varsity baseball @ Skyline. 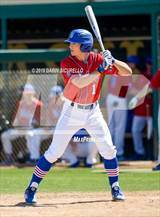 The Vestavia Hills varsity baseball team won Wednesday's away tournament game against Skyline (Mesa, AZ) by a score of 6-4. Mason had 9 photos tagged from the game against Basha. 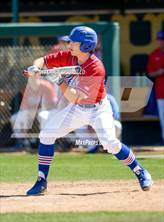 The Vestavia Hills varsity baseball team won Wednesday's away non-conference game against Skyline (Scottsboro, AL) by a score of 6-4. RESULTLoss Varsity baseball @ Tolleson. 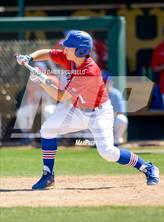 The Vestavia Hills varsity baseball team lost Tuesday's away tournament game against Tolleson (AZ) by a score of 5-2. RESULTLoss Varsity baseball vs. ThunderRidge. The Vestavia Hills varsity baseball team lost Tuesday's neutral non-conference game against ThunderRidge (Highlands Ranch, CO) by a score of 7-4.